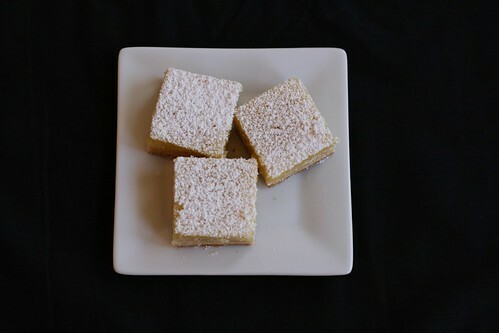 Last week as I was browsing some of my favorite food blogs, I came across this post for lemon shortbread bars from La Fuji Mama. 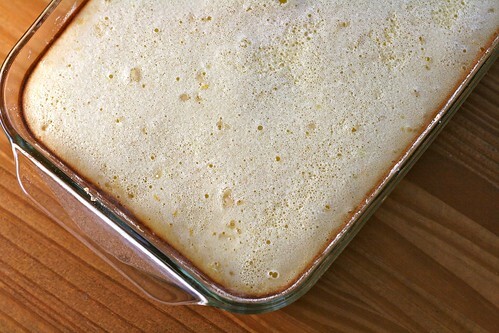 Then I discovered this lemon bar post by Smitten Kitchen. 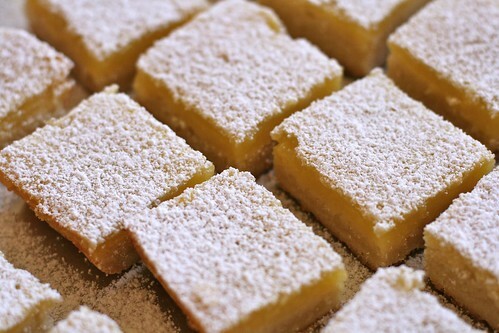 You see, I have a thing for lemon bars. You may have guessed that. So, after a tough week, I thought making a nice batch of these tart but sweet treats might lift my spirits and brighten the weekend. 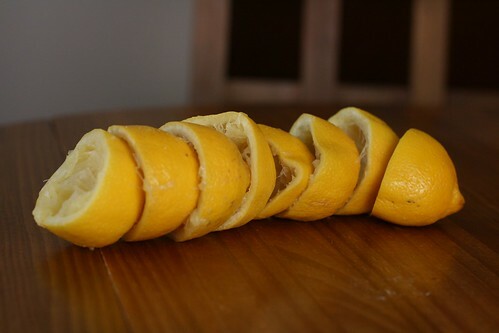 I wanted to use Meyer lemons, but my impatience got the better of me. I sent my husband to the closest grocery store to see what he could find, and regular ol’ lemons it was. No Meyers. 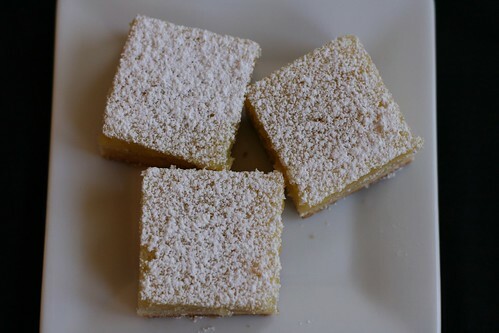 I used a blend of recipes for these lemon bars. I slightly modified La Fuji Mama’s recipe for the shortbread crust by adding a half teaspoon of Kosher salt. For the filling, I used this recipe from Gourmet magazine, but I added a teaspoon of lemon zest and half teaspoon of good vanilla. I loved the thickness of the shortbread. 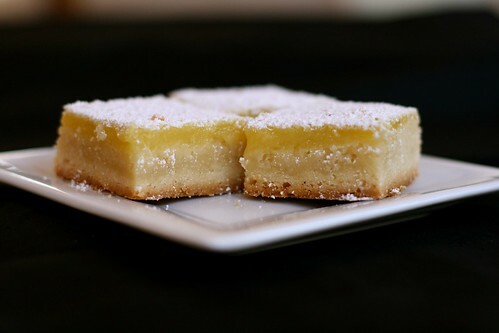 The ratio of lemon filling to shortbread was essentially one to one, and this helped cut down on the tartness of the lemon in each bite. The best thing? Watching my family devour them. It worked — my spirits were lifted. Preheat oven to 350 degrees Fahrenheit. Grease a 9 x 13 x 2 inch baking dish. Make the shortbread base: Using a food processor, combine the flour, confectioner's sugar, butter, and salt. 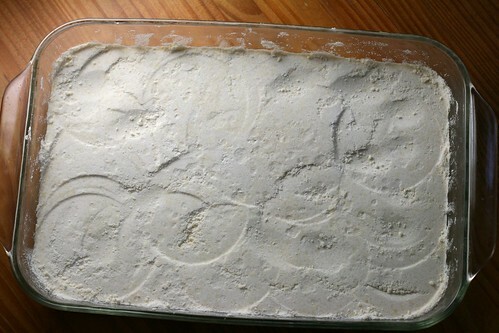 Pat dough into greased baking dish. Bake for 18-20 minutes (crust will be slightly golden-colored). While shortbread base is baking, make the lemon filling: Whisk together the eggs and granulated sugar until combined well. 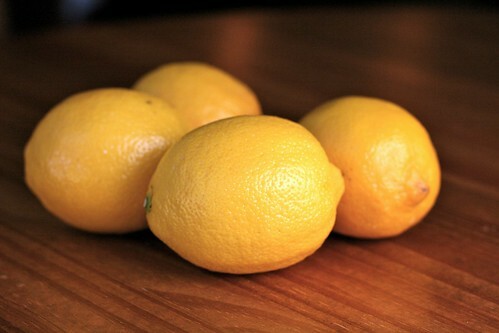 Stir in lemon juice, flour, vanilla, and lemon zest. Pour lemon filling into baking dish, over the hot shortbread filling. Bake for an additional 20-25 minutes, until filling is set. Let cool completely before cutting into bars. Sift confectioner's sugar over bars prior to serving. Adapted from recipes by La Fuji Mama & Gourmet. Anyhoo…I’ve never actually made grits. I confess that in the distant past, I have microwaved a package of instant grits for my kids, but only once or twice. A long time ago. Before I turned over this new culinary leaf. Grits have become very popular it seems. 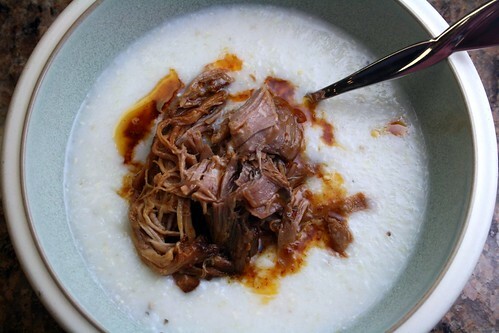 I’ve seen lots of recipes for creamy grits, and I’ve seen them show up more frequently on restaurant menus. The best brand according to all the hype is Anson Mills. For my first try at making grits, I really wanted to make the Anson Mills variety, but none of the local markets here carry them. I was able to find a brand in the local Fresh Market called Charleston’s Own, so I decided to go with those. What the heck. And these grits were the best grits I’ve ever eaten. 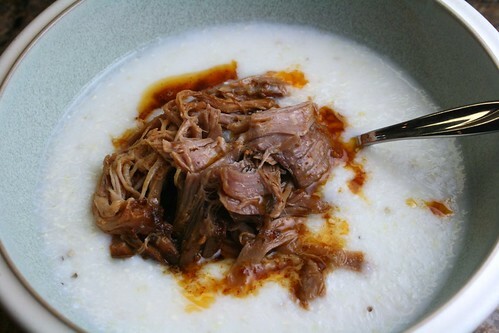 The pulled pork was juicy and had some heat to it at the finish, and the creaminess of the grits was the perfect counterbalance to that heat. My husband — who told me just as I was serving it up, “You know, I don’t really like grits,” — really enjoyed the entire dish, grits included. Never, ever again will I tear open and microwave a package of instant grits. I’m a stone-ground grits convert. 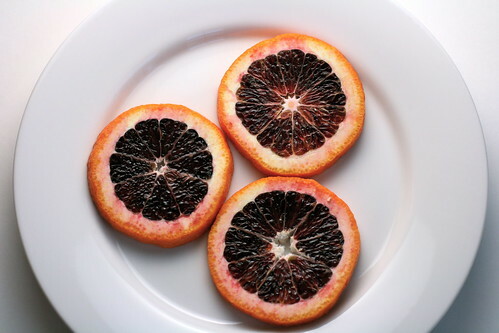 I’m almost embarrassed to admit this, but up until this past weekend, I had never tasted a blood orange. Yes, I live in Florida, where the state fruit is the orange, and the state flower is the orange blossom. 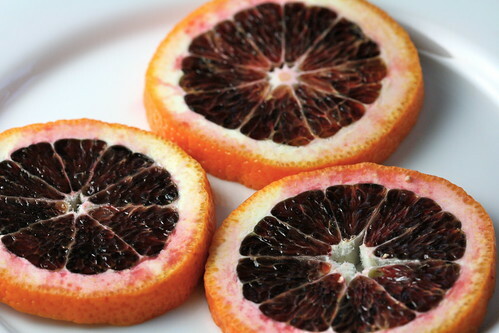 However, blood oranges are not native to Florida. So there. I don’t feel so bad now. I think part of me was always worried about stains, too. I’m sort of peculiar that way. It’s the same reason I’ve never eaten a fresh pomegranate. Verdict? 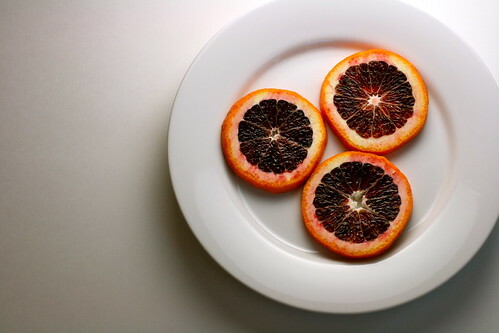 My daughter and I really liked the subtle sweetness of the blood orange. It was really easy to peel, and it sections beautifully. My son refused to eat something that color. My husband wouldn’t wake up from his nap to try it.